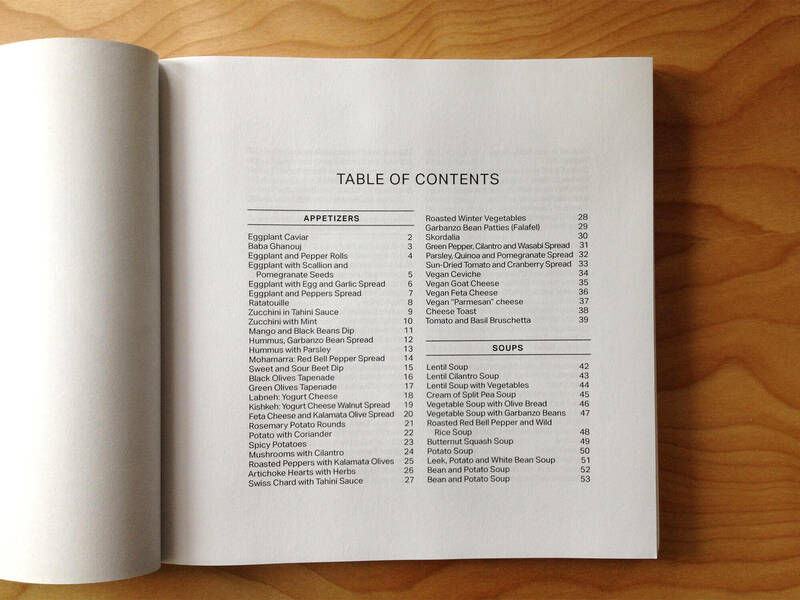 As we developed this cookbook design, we wanted to make it both beautiful and easy to use in the kitchen. 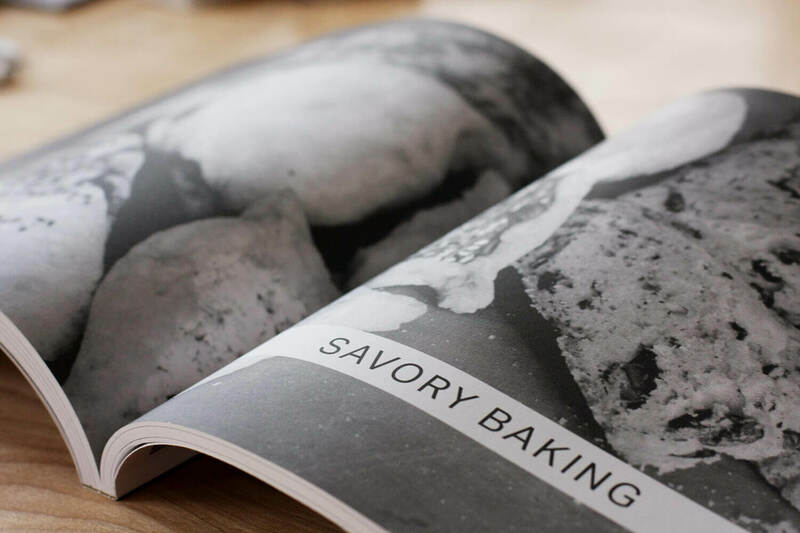 We created a “wayfinding” system to let the reader know what section they were in and to facilitate browsing by category of recipe. 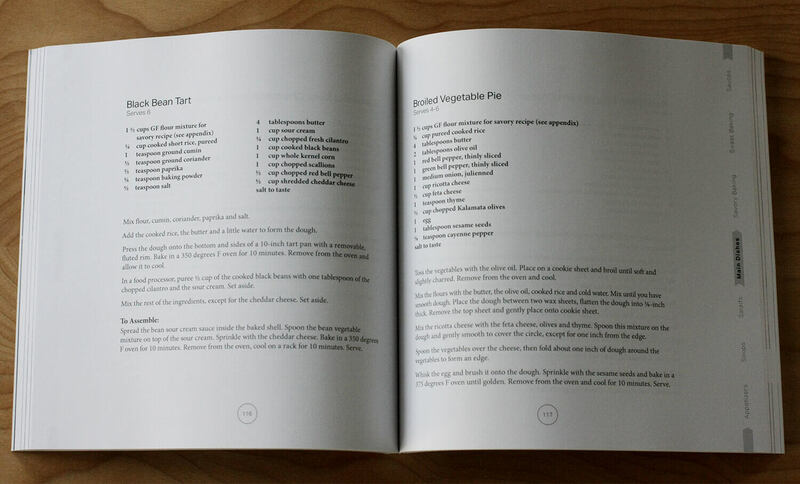 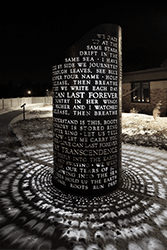 We used a wide format so that book would lay flat easily, allowing hands-free cooking. 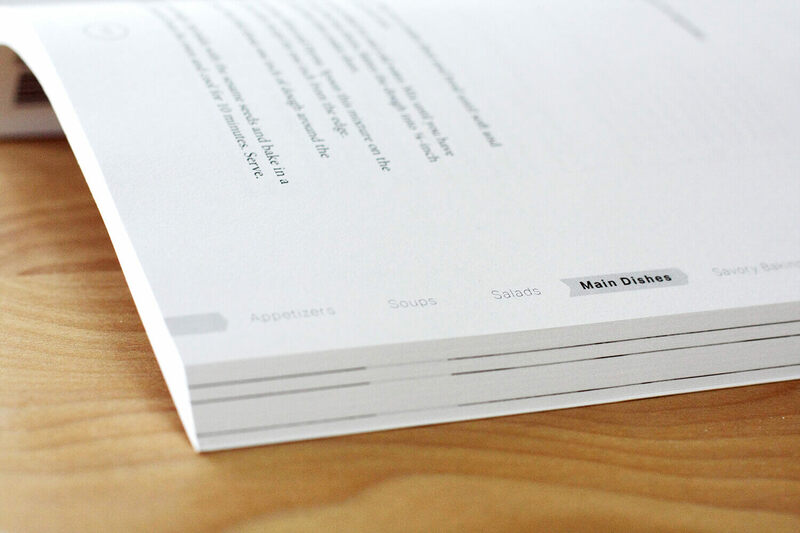 We also created ample space in the margins for chefs who like to annotate their recipes as they go. 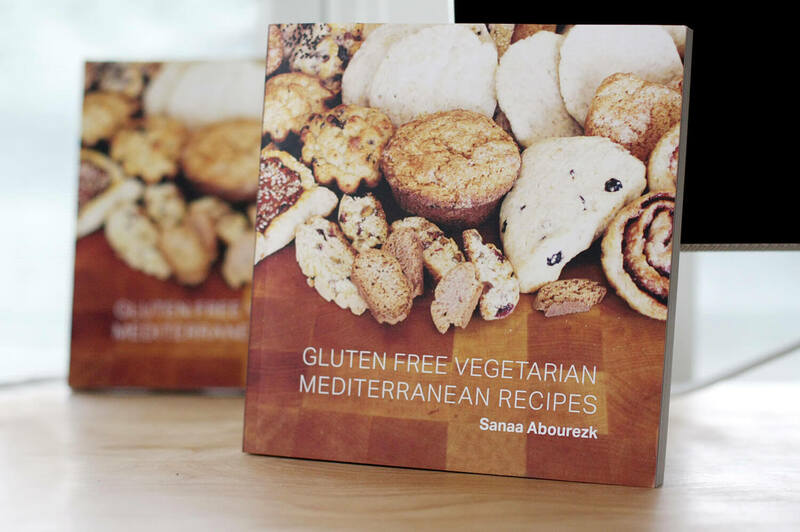 Sanaa’s recipes are a great resource for people with dietary restrictions (and for people with tastebuds.) I’m glad to be able to support a great local restaurant that is so conscious of food allergies–our whole family can eat at Sanaa’s because she has made an effort to create delicious foods without common allergens. 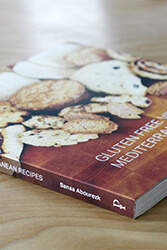 Sanaa’s Gluten Free Vegetarian Mediterranean Recipes is available in her restaurant or on Amazon. 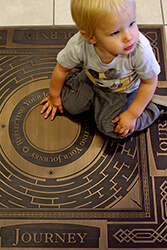 The photography used on the cover and throughout the book was taken by Alya Abourezk.